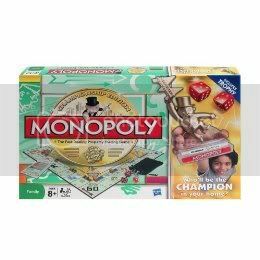 Target Stores have Monopoly Board Game advertised in their Weekly Ad for $7 and there is $5 coupon in 3/21 Redplum insert or you can pirnt it out use the link, final cost will be $2. 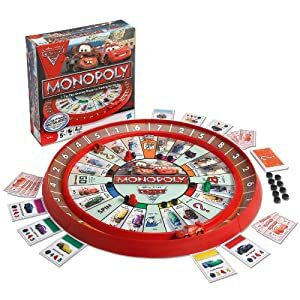 Amazon 大富豪 Cars 2 edition Monopoly Cars 2 Race Track Game 现在打折 only $12.95 (reg. $24.99). Shipping is free via Amazon Prime or on orders over $35. 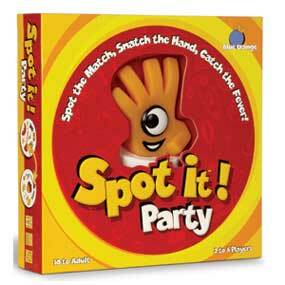 Spot It Party Board Game 老少皆宜的 Family Game， 有很多board game 对大人来说会太简单了，这个是例外的。 全家人都可以参加一起玩。 原价 $21.99, 现在打折$8.57. Monopoly Brand Game Zapped Edition 这个是用 ipad 下载app 玩的大富豪版本。 原价30刀， 现在打折只要$7.99. 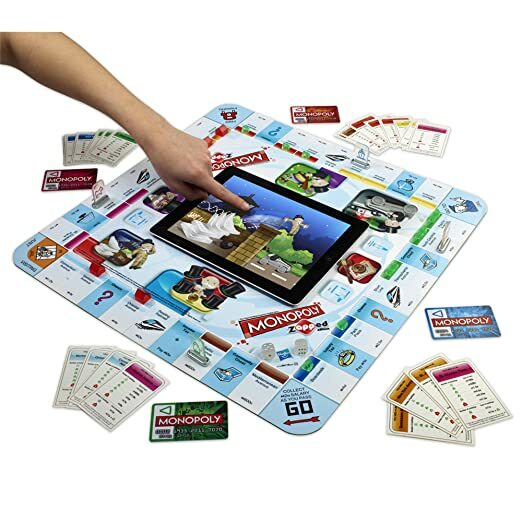 Use the app to buy and auction property, and transfer Monopoly dollars to your iPad with touch-banking cards。 Game Board comes with Rubber Pads, 6 tokens, 28 Property cards, 32 green houses, 12 red hotels, 2 dice, 4 Monopoly Touch-banking cards and instructions. 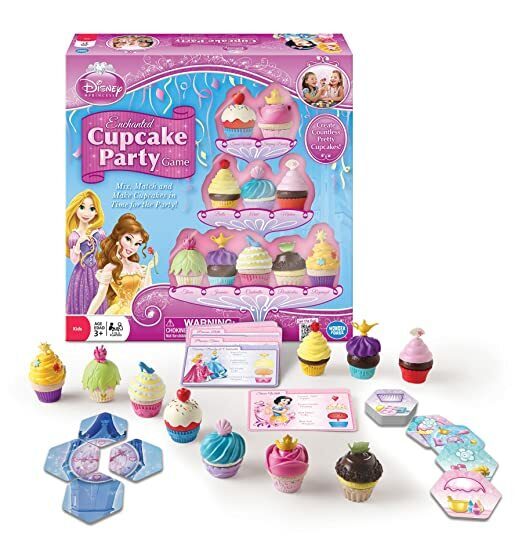 Today, October 30th only, Amazon is offering up to 40% off select Family Games and Puzzles. Even better, several of these highly rated items are priced the lowest they have been offered for. 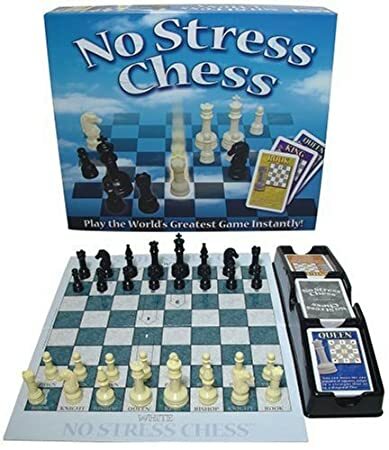 Amazon now you can get this highly rated No Stress Chess Board Game for just $10.97 (regularly $17.99). No Stress Chess will help you learn the real game of Chess. 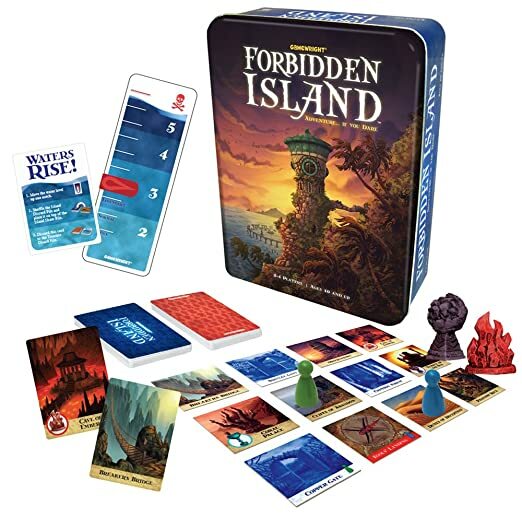 You can play instantly because the special game board guides you to set up your pieces and each card in the innovative deck shows you how to move the piece it pictures. Then when you’re ready, just flip the board to its Standard Chess board side and play the authentic ‘king of games’. 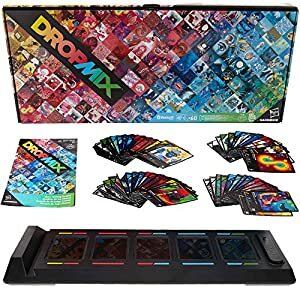 Amazon now they dropped the price on this Hasbro DropMix Music Gaming System for just $49.99 shipped (regularly $99.99)! This music gaming system features fast-paced music mixing in freestyle, clash, or party modes using a free downloadable app. It includes 60 DropMix Cards with music from popular songs and top artists like Bruno Mars, Ed Sheeran, Sam Hunt and more. On Target.com you can now buy this Electronic Catch Phrase Game for only $11.99 (regularly $19.99)! 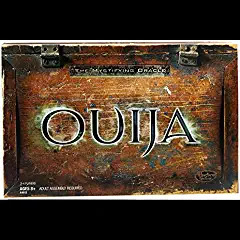 This a fun game to play with family and friends! You try to get your teammate to guess the word or phrase that appears on the screen by describing it. 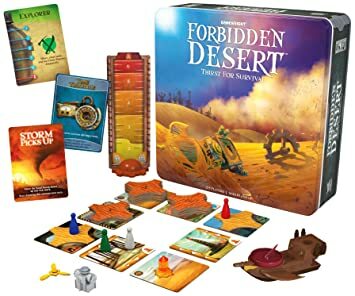 On Amazon.com now they are offering up the highly rated Forbidden Desert Game for only $17.32 (regularly $24.99). Coordinate with your teammates and use every available resource if you hope to survive the scorching heat and relentless sandstorm. Find the flying machine and escape before you all become permanent artifacts of the forbidden desert! On BestBuy.com you can now buy this fun Collector’s Edition Super Mario Chess Game for just $17.99 (regularly $39.99) – lowest price! This chess game comes with 32 hand-painted figures and a bright chess board. Everything fits snugly in a sturdy tin case. What a fun gift idea for any Mario fan! 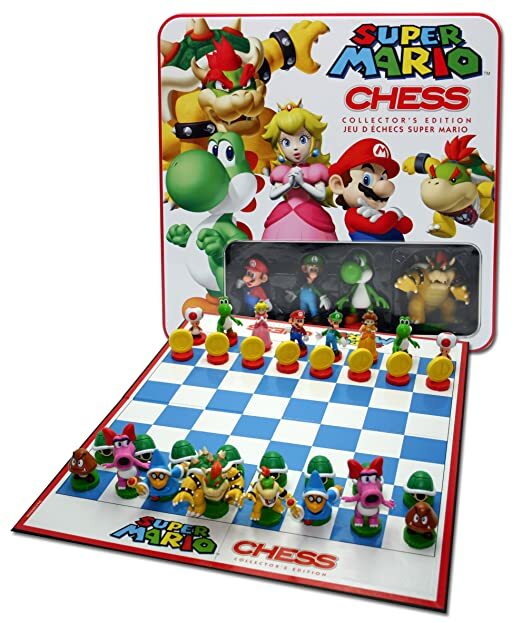 On Amazon.com you can now get this fun Collector’s Edition Super Mario Chess Game for just $17.99 (regularly $49.99) – lowest price!